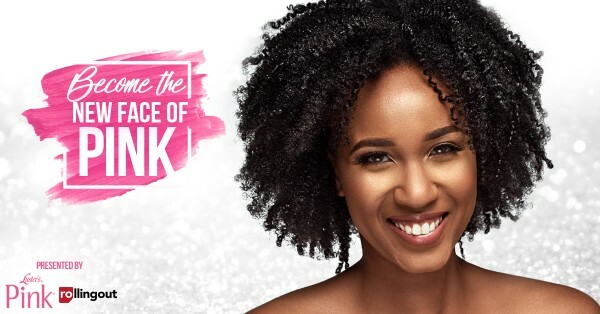 New Face of Pink 2018: So Far & What’s to Come! We’d like to start by thanking everyone who entered and voted this year! who have been entered into the next round! Imani Williams, Lisa Pippen, Mariya Philips, Morgan Woods and Taylor Jeffers! that tells (Luster’s Pink and Rolling Out) why they are the best contestant to be the New Face of Pink! 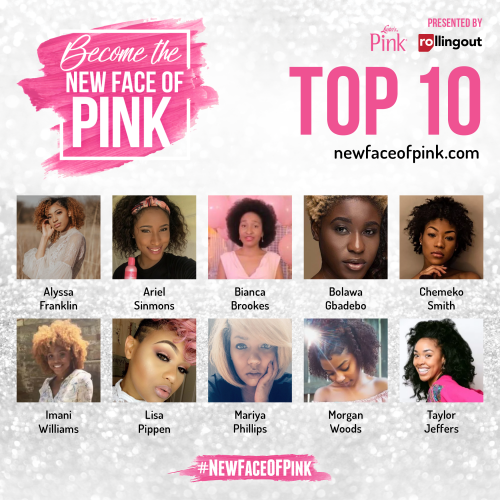 #NewFaceofPink tag & watch the contestants shine! solely at the discretion of Luster’s Pink and Rolling Out in June 2018! Here’s a reminder of what’s at stake! 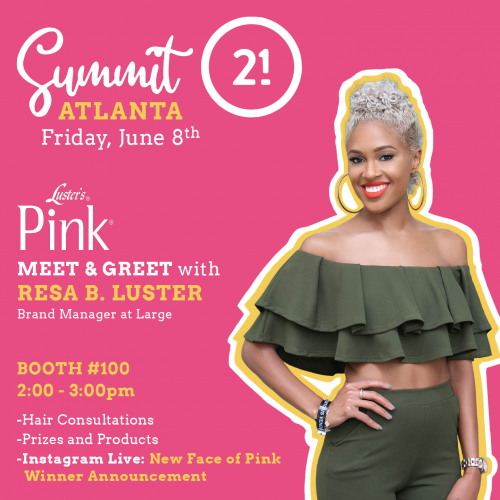 ○ Customized Pink regimen gift basket of Luster’s Pink Products! Good luck to each one of the Top 10 contestants!